This shock tower will handle all your Hi-performance needs. Go from slammed to blammed in seconds. All that is necessary to make adjustments is loosen the two adjustment screws and the rocker arm will pivot on the other screw. Once your ride height has been set tighten the two adjustment screws and you're back in the game. This will be the last shock tower you will ever need. 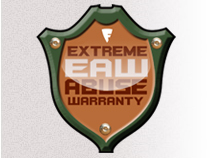 With our 100% warranty you can feel confident that whatever may happen to this unit we will stand behind it. We can also say, we believe this is the strongest tower available. With the thickness we used on the rocker arm, it will handle the abuse you can dish out. 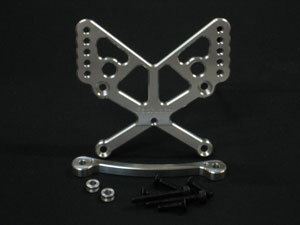 And if it does fail we will offer the rocker arm machined from alloy steel.